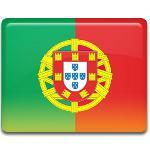 Portugal had been a kingdom for more than 700 years, until the revolution that took place on October 5, 1910. The revolution ended a long-lasting period of constitutional monarchy by establishment of the First Portuguese Republic. It existed only for 16 years till May 28, 1926, when a military dictatorship was instituted. The formation of Estado Novo regime by António de Oliveira Salazar followed the second revolution. The First Republic was governed by the President Teófilo Braga, whose presidency spanned for two years. Many aspects of governing were reformed, but soon the Portuguese faced the problems that followed democratization and liberalization. It was corruption. The Portuguese First Republic saw 9 presidents and 44 ministers during its 16 years of existence. It was described as a country with continual anarchy, government corruption, rioting, assassinations, religious persecution and arbitrary imprisonment.